The humans had been trying to make the ultimate bioweapon, like they always do. They can only ever destroy. It failed, however. The virus escaped, spreading across the globe quickly. It killed off all the humans in a matter of months. It didn't effect any of the other animals, except the canines. It had quite a different effect on them, worse then the humans fate. It turned any canine infected into a blood thirsty, aggressive, mindless beast. It only takes a wound or bite for the virus to get into a canines system, and then they turn on their friends and family. Some are immune to the virus, but most arn't. Canines rule the planet now, but are in a constant battle for survival, against outside forces and against themselves. 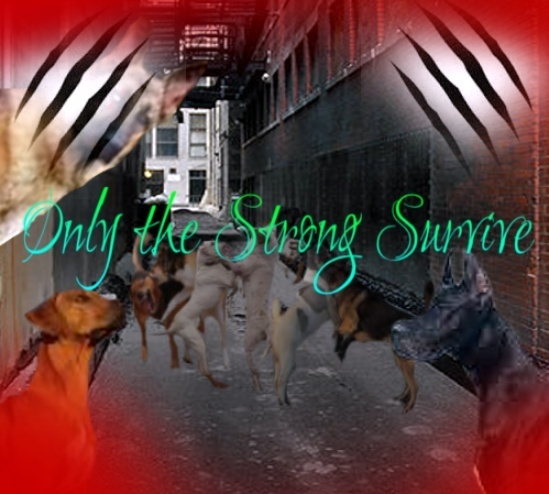 Join the struggles and battles of the canines in the abandoned city of detroit, where only the strong survive and the weak fall. » Major Flea Beatle Problem!